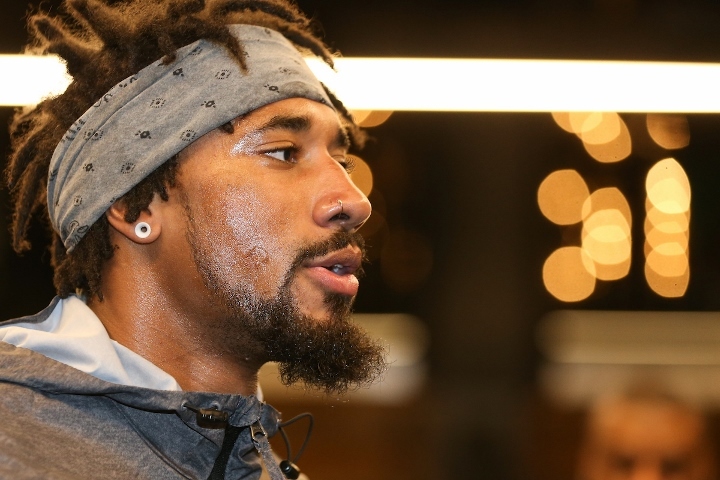 The search for the next challenge to face Demetrius Andrade appears to finally be over—and also right back where it initially began. Maciej Sulecki remains the likely candidate to land a shot at the unbeaten middleweight titlist, multiple sources have confirmed with BoxingScene.com. The bout is being targeted to headline a DAZN livestream in late June, with designs to stage the event in or near Andrade’s hometown of Providence, Rhode Island. Word of the bout being back in play is news to Andrade’s team—whom declined comment on what is clearly a fluid topic—as their side was previously led to believe the Top 10 contender from Poland was unfit for combat due to an injury. Sulecki (28-1, 11KOs) was believed to have suffered a hairline fracture in his most recent bout, a thrilling 10-round win over Gabriel Rosado in their March bout which saw both boxers hit the canvas. The severity of the injury was apparently exaggerated—or the details somehow literally lost in translation—to Eddie Hearn, Andrade’s promoter. A recent report by ESPN.com’s Dan Rafael cited the British promoter in alleging the hunt was on for a new opponent, to which Sulecki himself even challenged. The final evaluation from a recent doctor’s visit indicated that Sulecki will barely have to break stride in his career. With the good news will come his first career title fight, riding a two-fight win streak following a 12-round loss to Daniel Jacobs last April. “Sulecki had an injury and I presumed that he wouldn’t be ready for June,” Hearn recently told IFL TV. “They came back to me two days ago, saying they saw the doctor who cleared him to fight for the middle of June. Andrade (27-0, 17KOs) will make the second defense of the title he won in a 12-round shutout of previously unbeaten Walter Kautondokwa last October. The 2008 U.S. Olympian and undefeated two-division titlist is coming off of a 12th round stoppage of Artur Akavov this past January in New York City.